My father ran to his mother’s bedroom, grabbed her diamond brooch, ran downstairs, and gave it to a man in the line. Later in the Depression my grandfather lost all his money. The important thing is, that after my father gave away the jewels, no one in his family chastised him. My father worked in a furniture store in the barrio in Los Angeles, where he sold pure crap on lay-away to Mexicans. Then, later on, he sold fancier crap to fancier people in Beverly Hills and he hated furniture, and he hated the undeserving pricks and their trophy wives who bought it. Dad figured it this way: The bankers, the union-busters, the Bushes ”” whoever ran the show ”” were all a pack of vultures and the rest of us were just food. 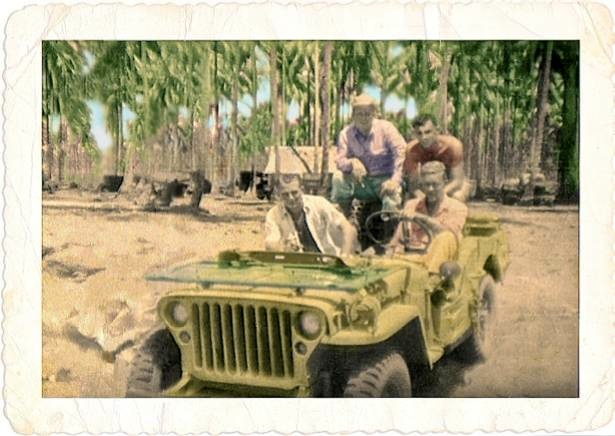 My father won the medals in the Pacific jungles for freeing the oppressed. Then, on that day in 1965, that degenerate Lyndon Johnson ordered my dad’s Army to return to the jungle to oppress the free. Johnson and Nixon, and the rest of the gangsters, had turned my dad’s medals into garbage. But life wasn’t all garbage and Nixon and furniture. My parents danced ”” in fact, they were champs. Even in their 70s they won a medal in the tango. Today my mother needs oxygen to breathe and my father, after his stroke, needed a walker frame to move. A little while back they decided to have a nice day out. My mom dressed up in her goofy red, white and blue patriotic garb, strapped on a canister of oxygen, and my father, limping a few inches at a time, made it to the local grocery store – to join the union picket line. This past Saturday was my mother’s birthday, her 89th. My father, in the hospital, told her to have a real blowout of a party. She did. It was a hell of a celebration. But the next day, as we had expected, my father died. He was happy my sister and I had flown in on time. He was especially happy that we don’t sell furniture. My mom and dad don’t want anyone to send flowers. My mother asks that if you’d like to honor Gil Palast to please send a donation to our not-for-profit Palast Investigative Fund. My father was damn proud of what we do. I’d be just as happy, if you have a couple bucks, to take your mom and dad out dancing.